The senior senator from South Carolina issued the most dire warning yet that war with North Korea is more likely now than at any time since the 1950s after Pyongyang conducted its most recent ballistic missile test. In the early morning hours Wednesday, the North Koreans launched what appears to be an upgraded version of a Hwasong-14 ICBM, which flew skyward some 2,800 miles — the highest yet of any missile the North has tested before. Experts calculate that the missile, if on a flat trajectory, could travel upwards of 13,000 miles — more than enough to strike Washington, D.C., and all of the United States. In an interview with CNN, Sen. Lindsey Graham warned Pyongyang it was playing with fire because President Donald J. Trump, given the option of taking on the regime of Kim Jong-un or putting Americans in danger, would choose war with North Korea without hesitation. Graham, a former Air Force lawyer and officer, added that North Korea is “making the biggest miscalculation in modern history” for thinking that best way for Kim’s regime to survive is to be able to attack the United States. “If North Korea watches CNN, I hope you understand that President Trump is not going to allow the United States to live under the threat of a nuclear missile, a nuclear weapon coming to America from North Korea. “And if you want that capability, you’re going to get in a fight with the United States and you’re going to lose that fight and that’ll be the end of the regime,” he continued. Graham went on to say that there needn’t be a conflict at all, but that Washington isn’t going to decide. Graham has made this dire prediction before — one which he says is based on personal, private conversations he’s had with Trump. As reported by The National Sentinel, Graham said in August there indeed is “a military option” for dealing with North Korea, should it develop nuclear weapons that can threaten the United States, contrary to the conventional wisdom that no such option exists. The senior Republican from South Carolina also said war with Pyongyang was “inevitable” if the nuclear weapons development continued. 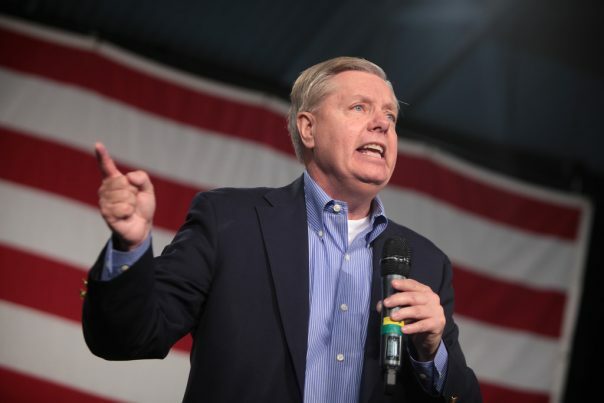 We’re headed for war “if things don’t change,” Graham told CNN. Discover more news on the topic of World War III at WWIII.news.